How many Pygmy owners are on her? 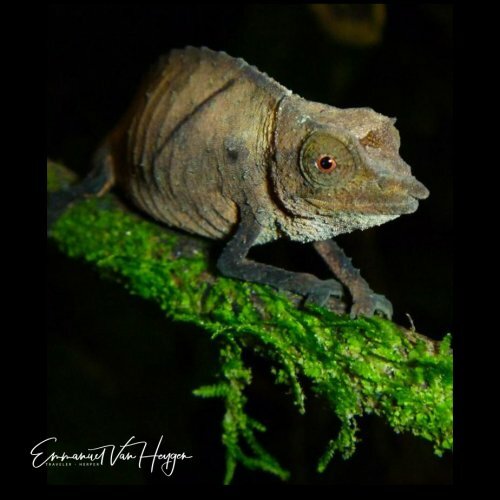 Chameleons do not have external ears or a tympanic membrane, but they do have internal ears as well as degenerated middle ears. They do not hear well but they can detect low frequency sounds. 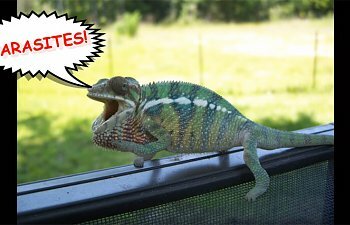 Chameleons have a high midichlorian count. Kinyongia uthmoelleri and Trioceros quadricornis gracilor have red claws. Many chameleon species have a bright red, orange or yellow mouth. 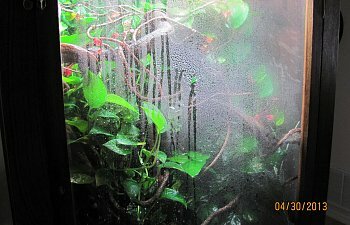 This conspicuous interior when displayed is used as a defense against predators. 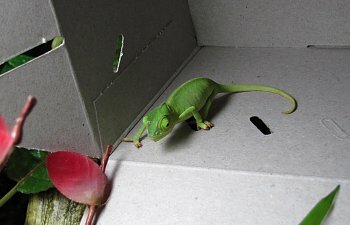 The word Furcifer is derived from the Latin word “furci” or forked. Chameleons change color by rearranging a lattice of nanocrystals in one of their top layers of skin cells called iridophores. Chameleons can then stretch this layer, broadening the nanocrystalline lattice, thereby causing it to reflect a different wavelength of light. The process of shedding is called ecdysis. The oldest known chameleon fossil is from the extinct species Chamaeleo caroliquarti. It was found in Europe and is 26 million years old. The smallest chameleon species is Brookesia micra with an adult length just over 1 inch (29mm). It hatches from an egg no bigger than a grain of rice! Pygmy chameleons (Brookesia, Palleon, Rhampholeon and Rieppeleon sp.) often resemble dry leaves, mosses and branches. Congratulations! you are now vice president of pet supply company!